Tuesday, 06 February 2018 Be the first to comment! Despite being a fairly seasoned traveller to Finland myself, my parents had never experienced the delights of the Arctic North. 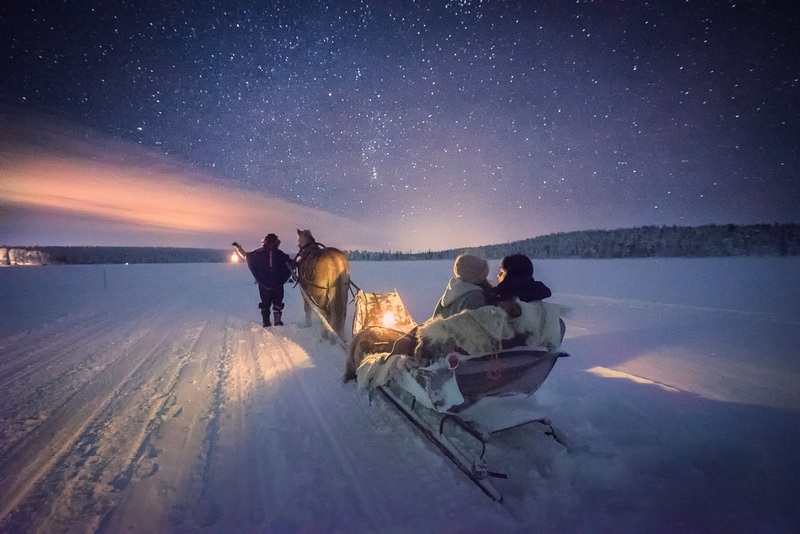 However, in January they got to experience a holiday to Torassieppi in Finnish Lapland for themselves. Read on to find out how they got on! Flying into Finland, we could see the vast spread of snow, frozen lakes and trees reaching out across the horizon and only as the plane touched down did we see just how deep the snow was on each side of the runway. An early flight meant that we landed in Kittilä around lunchtime, but it was on the drive to Torassieppi that we began to grasp the immensity of the wilderness in this fabulous country. Despite having been lucky enough to experience the delights of Finland numerous times for myself, my parents had never had the opportunity to visit this amazing country for themselves. With my dad having a very special birthday coming up, I decided that I would give him and my mum the chance to experience this beautiful Arctic gem for themselves. Here's what happened from their point of view!